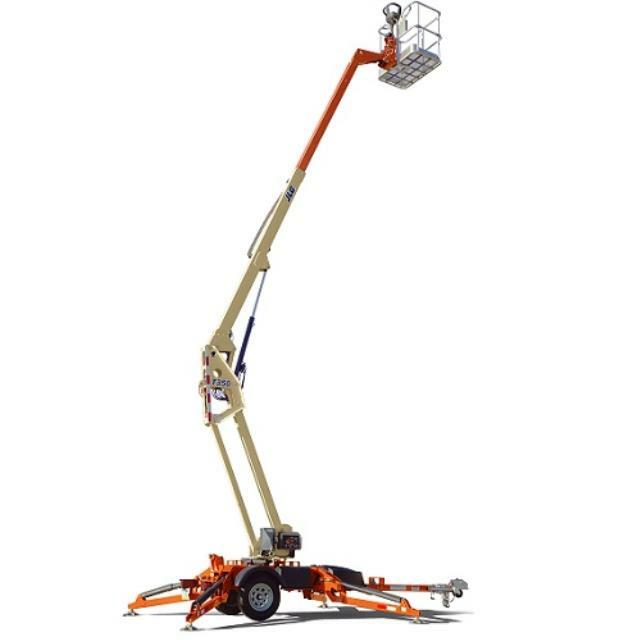 The tow behind bucket lift lets you tackle the same jobs as the other electric boom lifts, with an easier option for transportation. With the standard combination hitch, industry-leading towing speed and hydraulic auto leveling outriggers, you can have the bucket lift to the job site and working in no time. You can tackle a variety of jobs including residential maintenance, construction, pressure washing, tree trimming, exterior painting and maintenance tasks. Click here for the JLG T350 operator's manual.